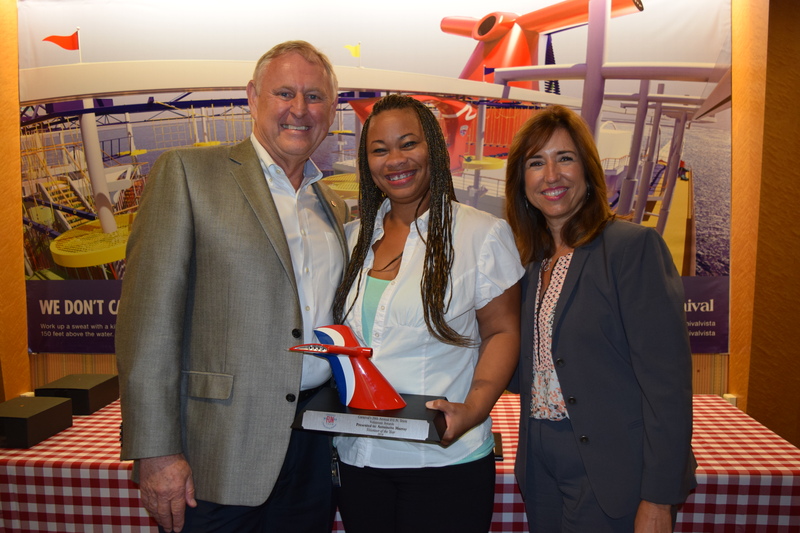 Antoinette Murray, a 14-year veteran of Carnival Cruise Line, has been named the company’s Volunteer of the Year, which acknowledges outstanding dedication and commitment to community service. 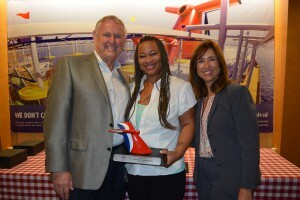 Murray was recognized for her role in Carnival’s employee service group, the “Friends Uniting Neighbors (F.U.N.) Team,” donating her time to a variety of organizations, particularly Camillus House, a homeless assistance center in downtown Miami. In addition to presenting Murray with a plaque adorned with the company’s signature winged funnel, Carnival is making a $1,000 donation to the charity of her choice. The award was presented at Carnival’s annually Volunteer Reception which pays tribute to those employees who volunteer their time and talent in helping those less fortunate in the South Florida community. Over the past year, nearly 300 Carnival employees participated in 75 service activities representing a total of more than 1,800 volunteer hours. Murray (center) is pictured here with Carnival President Christine Duffy (right) and her department head, Senior Vice President Corporate Maritime Quality Assurance David Christie.